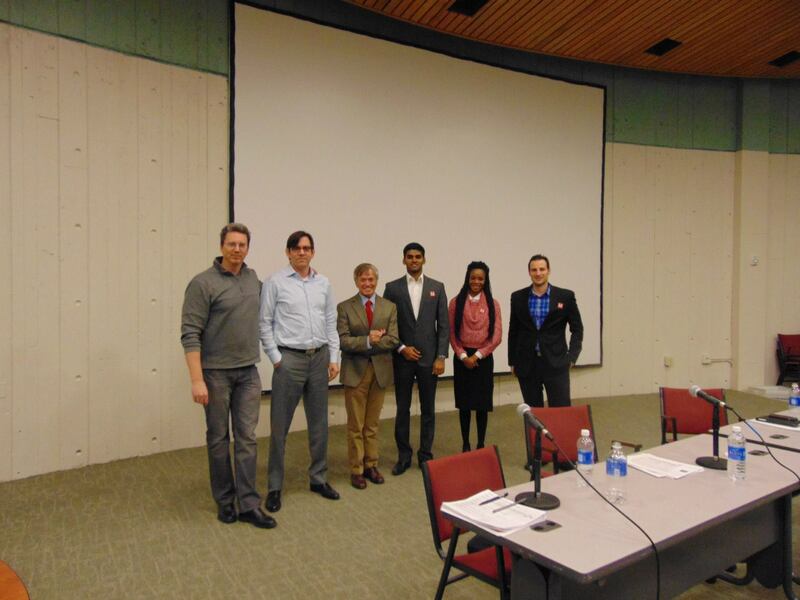 The FAHSS Creative Venture Competition took place December 3rd from 6-9pm in O’Leary Library 222 on South Campus. 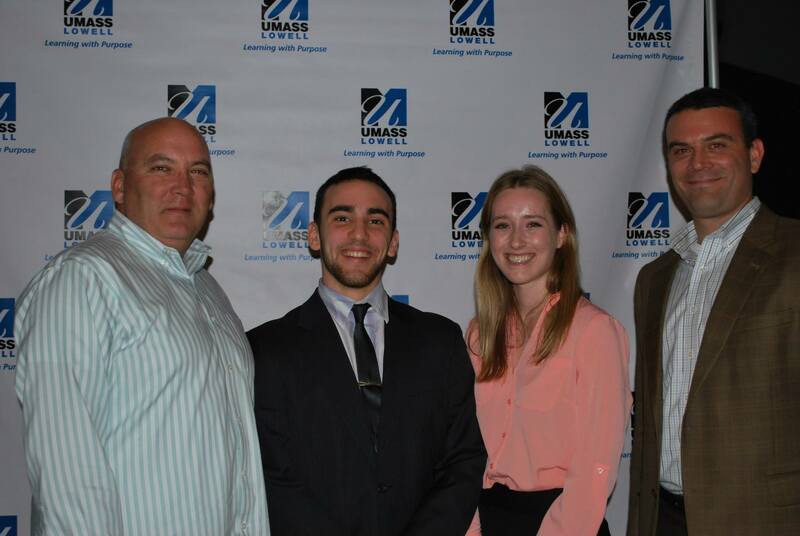 The judges were Glenn Morgan, Co-Founder SkyWorld, Inc., Michael Ratner, CEO of Skyworld, Inc., and Jack Ford, a UMass Lowell alumni. The Team “May Day”, made up of team members Ofa Liz Ejaife, Alessandro Simone Agnello, and Cibhi SelVen, pitched an innovation to prevent sexual assault and won the competition. 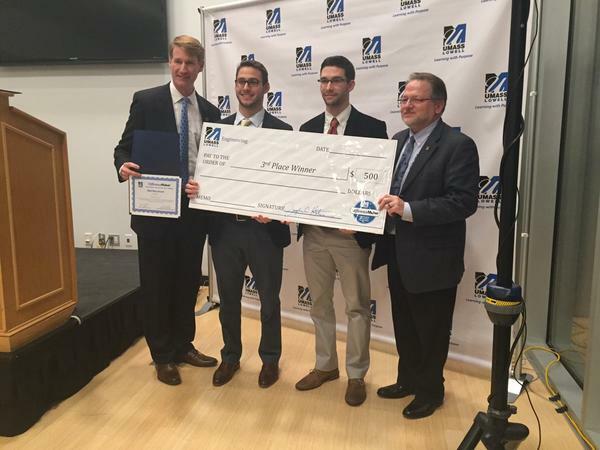 They won a top prize of $5000 that was awarded by UMass Lowell alumni Glenn Morgan and Jack Ford, and another $750 that was awarded by the FAHSS department. A total of $5,750 was awarded to the team at last night’s FAHSS event. 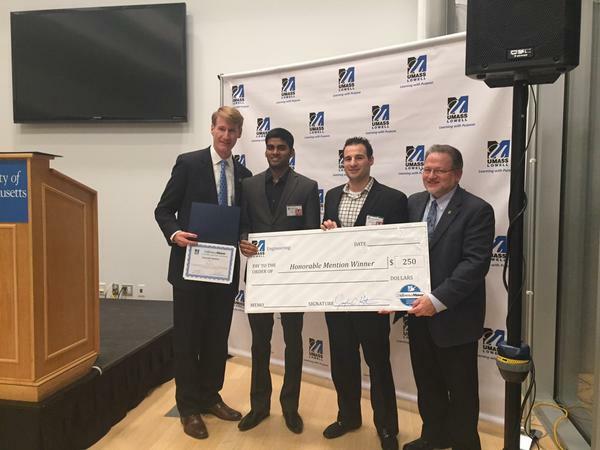 The DCU Innovation Competition took place December 3rd, from 6-9pm in the Saab ETIC Atrium on North Campus. The judges were Jim Regan, President and CEO of Digital Federal Credit Union, David Araujo, VP of Information Systems at Digital Federal Credit Union, Scott Latham, Interim Dean of the Manning School of Business, and Holly Butler, the Director of the DifferenceMaker Program. Professor Steven Tello, Associate Vice Chancellor of Entrepreneurship and Economic Development of UMass Lowell, MC’ed the event. 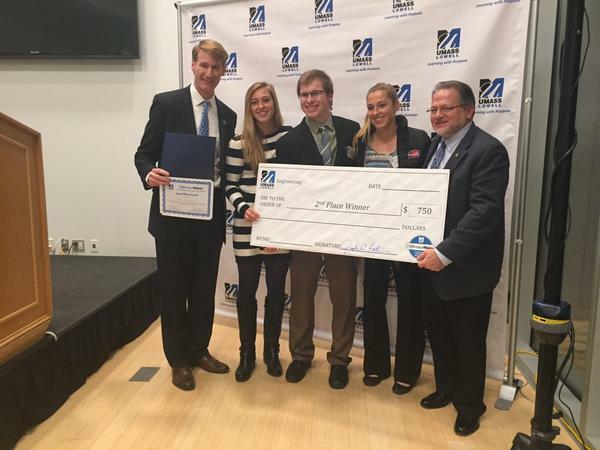 “The Bears”, made up of team members Joseph Baglio and Meghan Foster, won the top prize of $500 each, in addition to $200 for making it the finals. The team won a total of $1,200 in prize money. They pitched an idea for a subsection budgeting banking system app for DCU. This app will help DCU clients budget their money into different categories to promote organization and assist visual learners. The Prototyping Competition took place December 4rd, from 6-9pm in the Saab ETIC Atrium on North Campus.The final judges were Laura Deming, the Senior Vice President of Engineering at Columbia Tech, Marianne Downing, who is of Counsel with Daly, Crowley, Mofford and Durkee, LLP, Mike Fahey, the Acting CEO of Sensi, Rick Spitz, a technology entrepreneur, and Jack Wilson, President Emeritus of the University of Massachusetts System and University Distinguished Professor of Higher Education, Emerging Technologies, and Innovation. The event was introduced by Professor Steven Tello, the Associate Vice Chancellor of Entrepreneurship and Economic Development, and led by the Engineering Department’s Dean, Joseph Hartman. 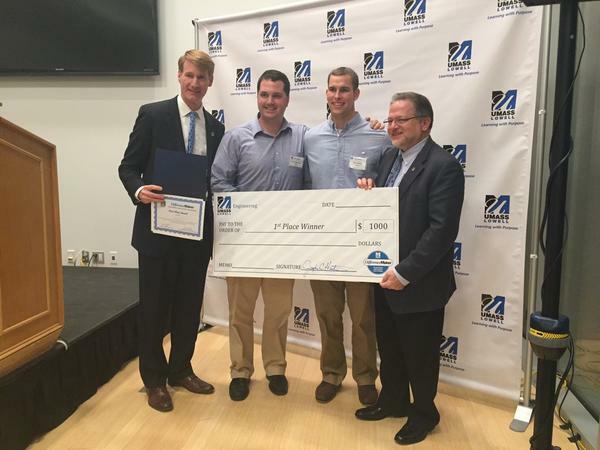 The Honorable Mention of $250 went to “May Day”, a sexual assault prevention solution. Team Members: Cibhi SelVen and Alessandro Simone Agnello. The Third Place Award of $500 went to “Prototooth”, an affordable denture product. Team Members: Casey McRae and Cormac Hondros-McCarthy. The Second Place Award of $750 and Fan Favorite went to “Kender Armour”, a durable and affordable sportswear material. Team Members: Stephen Kender, Laura Kender and Elizabeth Kender. The First Place Award of $1,000 went to a Hydraulic Walker, which allows people who use walkers to easily go up and down stairs and be more mobile at an affordable price. Team Members: Peter Klausmeyer and Ryan Andrews.